When is the last time you really thought about the ingredients in your skincare products? Most of the time, we are more concerned about how quick a product works than how our body will react to the ingredients in the product. This common mentality can be potentially dangerous especially to those who have to deal with allergies. Not many people know this, but if you’ve ever experienced redness and/or flaking after applying a new skin care product, there is a very strong possibility that your body is reacting to an ingredient it’s not used to. And because there isn’t necessarily a legal term for the words “organic” and/or “natural” – confused consumers often find themselves purchasing products containing non-synthetic ingredients that can be found in nature but are equally harmful. So we’ve decided to fill you in on the basics and let you know why plant-based skin care can help with these kinds of allergies. Let’s talk. Is Plant-Based Skin Care The Same As Natural Skin Care? Stores are jam-packed with skin care products labeled in luring words that attract consumers. Let’s take the word “natural” for example. It seems like every product nowadays is natural. And ever since the release of the popular film, What The Health, there has been a drastic rise in the purchasing of natural products. But what a lot of consumers don’t realize is that “natural” and “plant-based” are not the same. Contrary to popular belief, just because an item is labeled “natural” or “organic” doesn’t necessarily mean it’s healthier. In other words, just because something is “natural” doesn’t mean you’re body won’t have a reaction to it. According to the National Eczema Organization, over 30 million Americans deal with some form of dermatitis and that number is only rising as time goes by. Consumers are flooding doctor’s offices with complaints of rashes, itchy skin, and swollen eyes because their perception of “natural” means it’s only coming from the earth. Plant-based skin care, on the other hand, accurately reflects a skin care line that is based on foods such as vegetables, fruits, and legumes. Not only is this the more “earthy” option – but it excludes the harsh the chemicals that are usually included in “natural” skin care products. I Don’t Have Sensitive Skin. Is Plant-Based Skin Care Still Beneficial For Me? As invincible as you think you might be, a plant-based skin regimen is something you should still consider. Just because you’re not experiencing a reaction doesn’t mean it won’t happen and always keep in mind is that no one is ever born with allergies. Just like any other reaction, it develops over time. So even if you come across a natural product low in allergenicity, if you’re skin is exposed to it long enough, don’t be surprised if you begin to develop a reaction to it. Because plant-based skin products are centered around foods that you’re already used to (and more importantly, aren’t afraid to consume) – these products are going to be the ultimate staple when it comes to your skin. 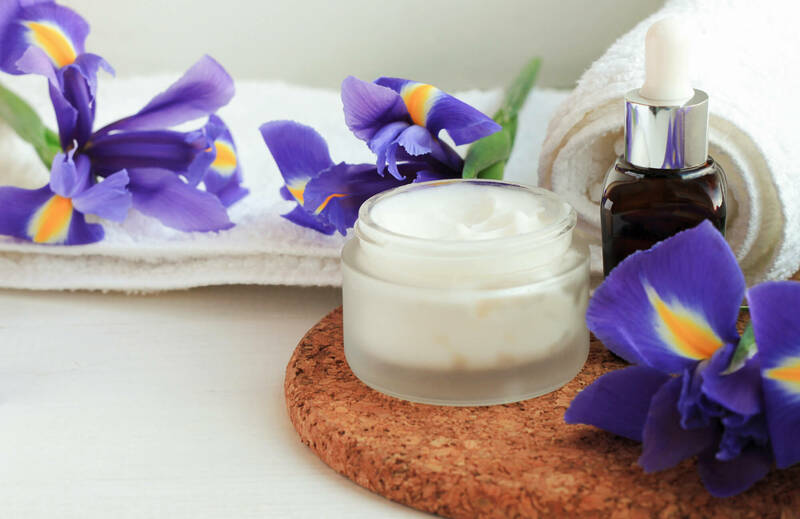 If you don’t want to put a damper on your beauty regimen because of your sensitive skin, there are a couple of things that you should look out for before trying a new skincare routine. Usually, when you think of the scent related to plants (or anything natural), you don’t automatically associate it with a strong cologne/perfume-like scent. That’s unnatural. Aand according to Time.com, perfume-scented products can hold up to 10,000 chemical ingredients. So when it comes to plant-based skin care – think soft. These products are not known for their overwhelming scent and adapt well to sensitive skin. This is why we’ve always encouraged our customers to shop our products. Because our goals are to constantly master natural science, we try to avoid harsh ingredients that aren’t good for your skin. Fun fact: “Natural” skin-care products can still include man-made ingredients in its product. We can’t stress the importance of reading the chemicals associated with your current skin care line. This is why our products are the perfect mix of plant-based, food-based, and cosmetic technology to help avoid the allergic reaction bodies have to harsh chemicals. Whether you’re a health guru or simply curious about the benefits of plant-based skin care, there are plenty of reasons as to why switching over to plant-based will be the right move. Even if you backtrack to history, the most reputable products consisted of ones that heavily relied on plant-based recipes and rituals. As a matter of fact- do you remember those weird homemade remedies that mom used to mix up to make you feel better AND ACTUALLY WORKED? Because plant-based products come completely packed with vitamins, antioxidants, and other skin goodies – they have massive regenerative properties that will have your skin feeling and looking brand new. Can I Expect The Same Results? Just because it’s less harsh, doesn’t mean it’s less effective. Our products are proven to improve the appearance of wrinkles, dark spots, acne, and other common skin issues all while maintaining it’s plant-based reputation. Because the beauty industry is centered around rapid results, consumers automatically assume that if a product is more potent it is equivalent to faster results. When in reality, the words “natural” and “organic” have simply turned into a marketing term in order to get people to purchase products. There you have it! A list of the ultimate reasons to switch to plant-based skin care. Trust me. We understand the importance of clear, beautiful skin and that’s why we’ve created these products with you in mind. Feel free to shop our reputable line or contact us if you have any questions!